Spotify lands on Xbox One | What Hi-Fi? 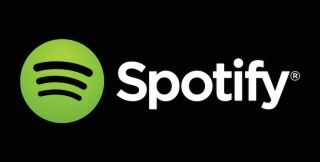 Spotify is, from today, available on Xbox One in 34 markets around the world. Mercifully, the UK is one of them. Integrating Spotify into the Microsoft console means gamers can select music to provide a bespoke soundtrack for every session. Whether a free tier or Premium subscriber, Spotify users can access their own playlists or curated selections. "Starting today, we're really excited to offer Xbox One gamers the ability to choose their own unique soundtrack while enjoying their favourite games" said Mikael Ericsson, Spotify Product Director. Xbox One users need only got to the Xbox Online Store, download and install the 'Spotify Music for Xbox' app, and then log in. And, at a stroke, put an end to the relentless repetition of music that's the curse of the devoted gamer. PS4 v Xbox One - which is best?